Leaving the confines of your home on a warm summer night to enjoy an family dinner on the deck only to be driven back inside within minutes with itchy ankles and a neck covered in red bumps or hearing mom yell, “everyone gets a tick check before they put their PJs on” are story’s that all New Englanders can relate too. These staples in our summers are more of an influence on our lives than we knew even just 15 years ago. 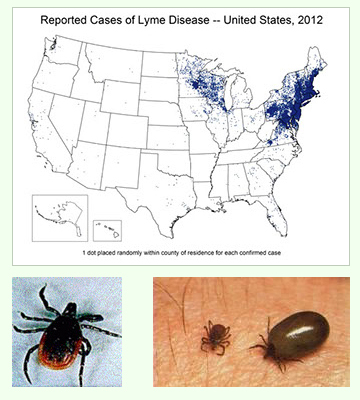 Until the emergence and publicity of diseases such as Lyme from a tick bite, or Eastern Equine Encephalitis (EEE), West Nile Virus, from a mosquito just to name a few, are changing the way we enjoy our gorgeous New England scenery. If you are planning a party, backyard barbecue, block party or just want your yard back, we can develop a management plan that fits your problem size and wallet. Mosquito and tick control allows for frequent visits of our technicians to make their barrier applications but also fall back onto the basics of IPM, Integrated Pest Management. Our trained technicians will make recommendations from removing static water sources to making adjustments to overgrowth and landscaping improvements. Once applications are complete and dry, your family can return to the regular use of YOUR back yard. to schedule your Healthy Home and Yard Premium initial visit.